The consumption of IT is constantly rising across the world, creating millions of opportunities for software, solutions and services providers. Businesses are not only investing into new technologies but are also making significant strides into updating their existing IT systems and solutions. And this is why; it becomes imperative for technology marketers to identify users of specific technologies such as Microsoft, Oracle, SAP and more. Making this an easy affair, Blue Mail Media can partner with you and help you with highly reliable and accurate Technology Users Email List worldwide. 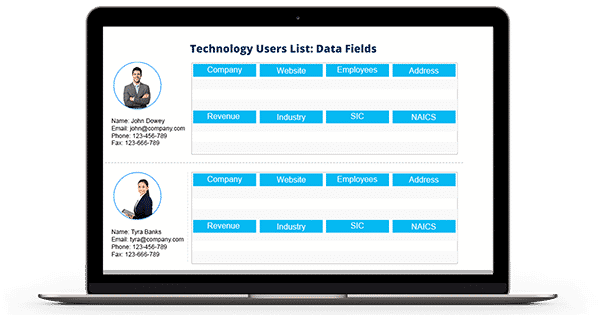 Blue Mail Media’s Technology Users List can help your organization gain significant traction in terms of your multi-channel marketing strategies. Our team of data scientists, experts and professionals put immense efforts in keeping our database free of redundancies and conduct timely verification’s to keep the data updated. Blue Mail Media also gives clients enough flexibility to choose from our pre-packaged Technology Users Email Database or get a customized list based on their campaign requirements. Our list of Technology Users covers all relevant marketing information to help you reach your target market via telephone, email or mail. Our strong data partners network enables us to serve organizations across North America, Europe, Africa, Middle East, APAC and South America. Blue Mail Media’s email list of usa technology users and customers has been helping technology marketers in powering their sales cadre with efficient data, reasoned to which they have realized greater response rates as well as conversions.